Happy Wednesday! Today I am sharing what is on my work desk with you. You may remember when I shared my desk last week my pen pal letters were under way. Well, this week I decided to start working on bookmarks for my fountain pen pen pals. I thought they would be fun to tuck into letters as a surprise. Stampers Anonymous has a great stamp set with fountain pen related images and old cursive handwriting images, etc. I thought they would be perfect for this gang of letter writers. I used my archival black ink and plenty of Distress Inks. Only one is done so far, but it was a lot of fun to make. 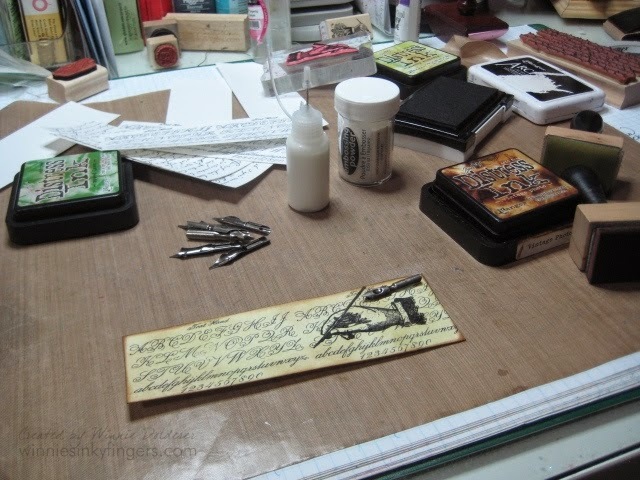 The metal nib is from Tim Holtz and I think it was a fun embellishment. The seam binding was stamped with a fun swirl image from the set as well. Thank you, Julia, for the desk hopping fun! If you haven't joined in, you might give it a go as the sharing of desks is fun, you learn a lot and the friendships made are priceless. I am looking forward to visiting with you today! What a great desk. Looks like you have a lot going on there. Thanks for sharing! Very cool bookmarks! And the nib is a great idea! Happy WOYWW! 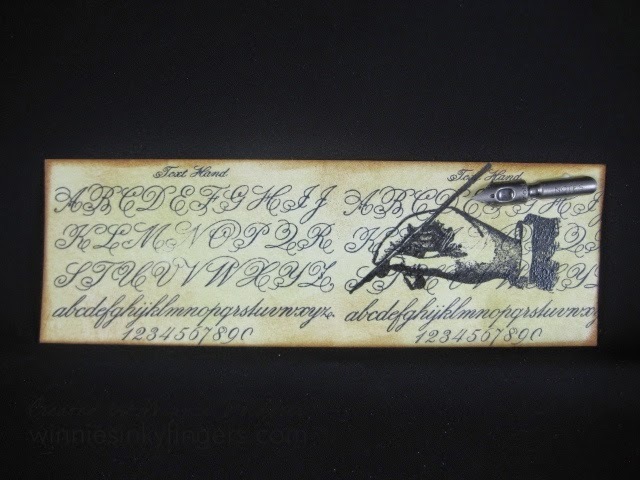 The book marks are a nice idea and this one is perfect for a pen pal. Really nice idea. I have to keep an eye out for those bookmark sleeves. Love your book mark! Great idea! Thank you for visiting my blog on WOYWW! 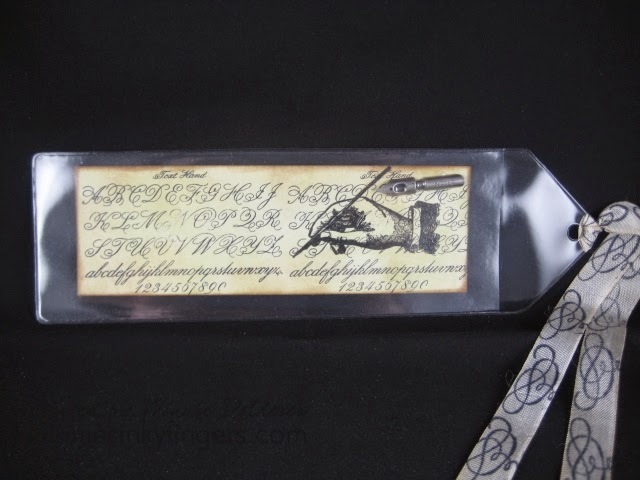 ooh nice bookmarks love the idea of stamping on the ribbon too.